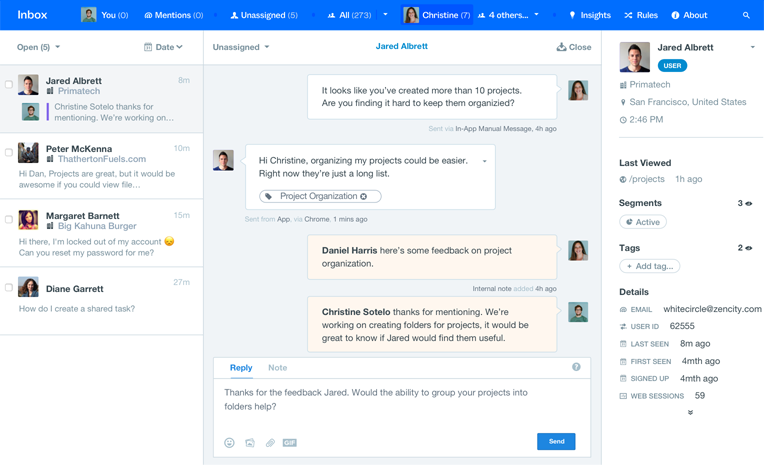 Collaborate behind the scenes, move faster, and avoid surprises in a shared team inbox. Allow customers to contact you inside your web or mobile app. 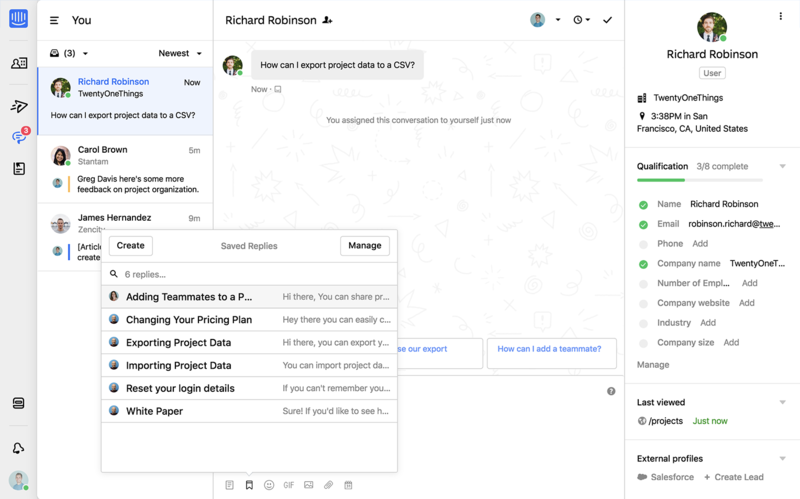 View, manage and respond to conversations in a collaborative inbox. A beautiful knowledge base, searchable by everyone. Know who you are talking to - their location, activity, and more all in real-time. Create rules to automatically assign conversations to the right team or teammate. Import your existing public knowledge base in a single click. Ultimately, Intercom connects the dots between the customer experience and our products. That lets us learn and innovate much faster.